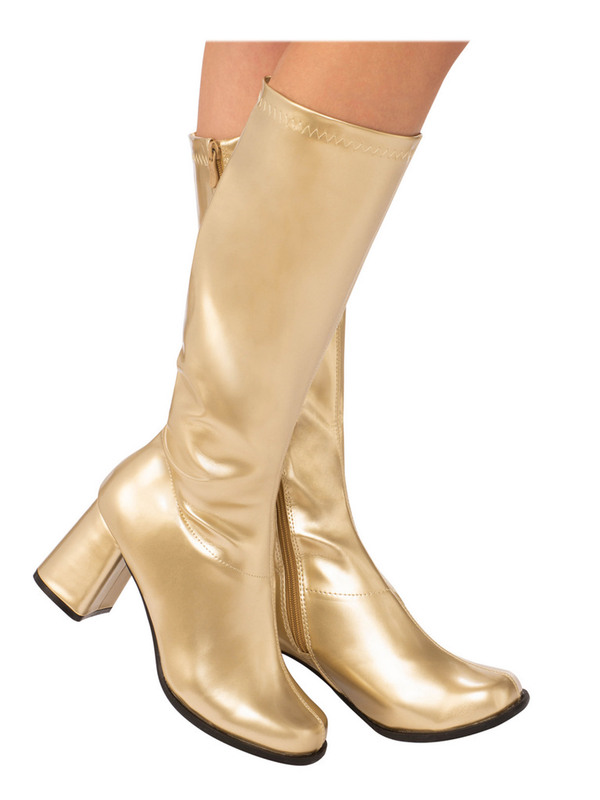 These adult gold go-go boots are the easy and comfortable way to make your disco dancer or pro wrestler costume eye-catching and unforgettable! Made of high-quality materials, these knee high costume boots can put a touch of pizzazz in just about any costume! Order yours today!